Our expert designers and craftsmen conquer customization challenges to bring your visions to fruition for your home, business or event. Our 11 modern and sophisticated luxury furniture collections are ready to place or customized to fit the needs of your home or business. Our Las Vegas warehouse stocks $3 million of inventory for every kind of event from intimate garden parties to ballrooms to conventions. In Las Vegas, NV our professional craftsman create elegant, stunning and durable luxury entertainment furniture. From concept through delivery, our professional furniture design team pays attention to every last detail! Somers Furniture is a preferred specialty design manufacturer of furnishings for hospitality and commercial venues. From planning through breakdown, we bring the quality and attention to detail that your guests will talk about! There’s one sure way to get exactly the furniture you want – have it custom built! Whether it’s for rental or retail, Somers is a flexible organization led by highly skilled professionals with a manufacturing know-how that make it a versatile and reliable partner for any project. Architects and interior designers spend a great deal of time and effort to create the perfect look and feel for a room or gathering space. A combination of colors, lighting, and textures are carefully coordinated to create mood and ambiance. When that much thought is put into a design, the only way to complete the process is with custom furniture that accents the theme. Through the years, Somers Furniture has collaborated with many talented and respected designers to successfully bring their visions to life. With a vast knowledge of materials and problem-solving capabilities, Somers’ team of craftsmen are able to achieve the best design results using the finest quality wood, metal, foam, and fabric materials. Our exclusively designed, modern & sophisticated collections offer unparalleled comfort and truly luxurious experiences that provide the ultimate in outdoor living. We start with our handmade, wood-treated frame which has been tested to stand up to the harshest of elements, be it rain, intense sun, and heat, cold weather, ocean moisture damage, or standing groundwater. All wood for exterior use is weatherproofed with a protective clear finish specifically designed for wood that is exposed to sunlight, water, or temperature changes. This finish forms a protective barrier against rain and moisture, and its special oils allow the finish to expand and contract with the wood as seasons and temperatures change. The fabrics we use have also been tested to withstand all outdoor climates, as well as stains caused by beverages and food. In addition to the variety of Sunbrella and Bella Dura solution-dyed acrylic fabric brands designed for outdoor use, we use marine-grade vinyl (the same used on yachts and boats) which does not fade or crack and can withstand the chemicals used in pools and spas. These fabrics are easy to maintain and come in a variety of patterns and textures. Our signature cushions and pillows are filled with Dryfast Foam and marine grade thread designed for outdoor use. All hardware such as staples, screws, and snaps are made of stainless steel to keep our product lasting longer without the worry of rust. Debbi Somers takes pride in the fact that her name is on every item manufactured in her Las Vegas warehouse. For that reason, Somers Furniture has an in-house expert personally involved and active in all stages of each project, working alongside design professionals to provide detailed drawings, research material, develop manufacturing solutions and build prototypes. This personal attention to detail allows the team to discuss ideas and concerns with the client and designer that can improve quality, cost efficiency and avoid problems during production. Somers Furniture’s custom design and manufacturing division is the number one, preferred manufacturer of luxury resort and outdoor hotel furniture. Recognized for its service, talented staff and ability to combine cutting-edge design and high-end materials with the trademark-pending durable construction to produce outdoor furniture that is as beautiful as it is durable and functional. 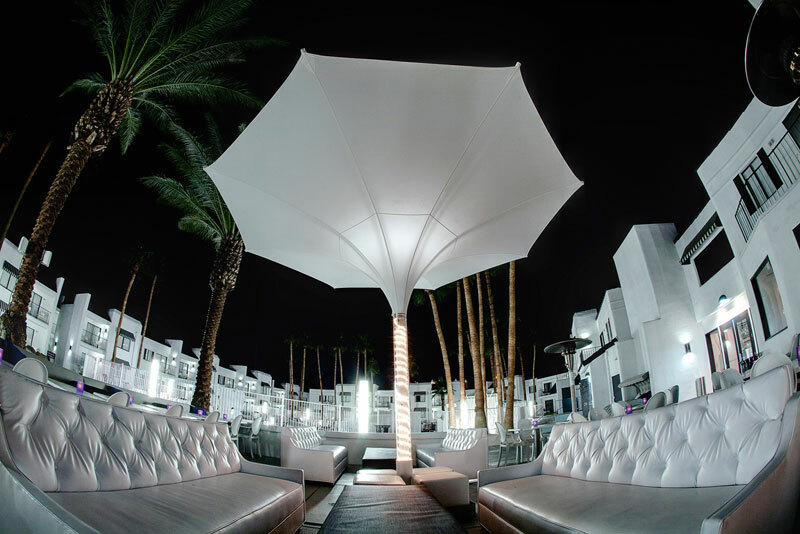 As a specialty design manufacturer with over 10 years of working with the best of the resort industry’s interior designers, architects, and construction professionals on Night Clubs, Poolside Lounges, Cabana Furnishings, and Restaurant Seating, Somers Furniture has developed several Signature Designs which have become a hallmark of quality. Today, the in-house design team continues to innovate the design, comfort and durability of future collections. When you choose Somers Furniture, you choose passion, experience, quality & unrivaled elegance. Were you at that event? Somers Furniture in Las Vegas has worked and partnered with professionals in planning special events and conventions since its establishment in 1989. We have learned to understand the challenges of making an event profitable while delivering an enjoyable experience for our clients, whether it be for a special event or a convention. We have nearly three decades of experience specializing in renting designer quality hospitality furnishings for conference settings, conventions, meetings, parties, pool & patio settings and special events. We also provide short term rentals for restaurants, night clubs, day clubs and residential. Our fast turnarounds exceed industry standards and we offer punctual and professional move-in and move-out services 24/7. Because we manufacture most of our own rental furniture, we can guarantee that it will stand up to a variety of conditions from public use to outdoor environments. Somers Furniture provides a full host of services from space planning and product recommendations through set up and tear down.